This week, Your News to Know rounds up the latest news stories involving gold and the overall economy. Stories include: Trump’s tax plan could boost gold and silver, billionaire investor says gold could reach $3,000 to $5,000, and Iran should go for gold instead of a currency reform. 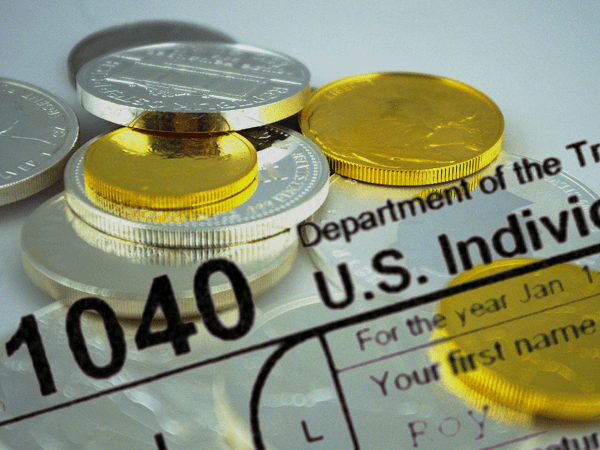 As politicians debate whether President Trump’s tax plan will benefit middle-income families and U.S. businesses, one analyst believes that the proposed reform will have a clear victor in precious metals. In a recent Bloomberg article, Bart Melek, head of global commodity strategy at TD Securities in Toronto, says that the proposition would increase U.S. debt and budget deficit, both of which would usher in higher gold and silver prices. Speaking at the Silver Industrial Conference in Washington, Melek highlighted a period between 1984 to 2012, during which gold rose along with the federal debt relative to GDP. Melek predicts that political drama in the U.S. and tensions with North Korea may bring gold to $1,360 an ounce by the end of next year, or 7% higher than current prices. The strategist is likewise optimistic on silver, expecting the metal to perform even better than gold as global growth boosts industrial demand and mine supply slows. During the same period, he predicts that silver could gain as much as 19% to reach $20 an ounce. Thomas Kaplan, chairman of investment fund Electrum Group, is among the voices of caution calling for a measured approach to the soaring stock market. According to a recent article in Barron’s, Kaplan feels that investors who are overly optimistic on stocks tend to neglect the numerous risks on the horizon, namely the ever-growing debt in the U.S. and abroad. “You have to suspend your disbelief in the state of the world because of the massive debt that’s been accumulated,” said the billionaire investor, pointing towards gold as an overlooked opportunity. To him, the yellow metal represents the best risk-to-reward ratio out of any asset class today – gold investors will still make money even if everything is going well, but stand to reap substantial benefits should any of the looming black swans materialize. Kaplan is no stranger to accurate forecasts, having made a fortune with an early call on oil’s rise by selling Leor Energy to Encana in 2007. Addressing investors at the Octavian Forum, Kaplan also touched upon the dismal state of gold exploration and reserves. These factors, he said, place gold’s normative supply/demand equilibrium level at $3,000 to $5,000 an ounce. Kaplan added that anyone who views gold as currency should have 20% of their cash in the metal. “At the very least, gold should represent 5% of an investment portfolio,” he added. Iran might be bracing for another shakeup to its economy as the parliament decides whether to change the country’s currency from the rial to the toman, which would also require an adjustment to Iran’s unit of account. Without changes to the monetary and exchange rate regime, however, Forbes’ Steve Hanke sees this motion as nothing more than an illusion. To fix the country’s economy, plagued by a rapidly-depreciating currency which has lost 99.8% of its value since the Islamic Revolution of 1979, Hanke suggests that a more thorough solution would have to be implemented. Adopting a foreign currency is an option, but Hanke notes that taking on a strong currency like the dollar or euro would require a concession that the Iranian government is unlikely to make. An introduction of some form of gold standard, however, could prove equally as effective while allowing the government to keep up appearances. Gold has been treated as currency since ancient times, and while it hasn’t been a formal part of the monetary system since 1971, many feel that global finance has taken a downturn and expect the gold standard to return during this century. Hanke proposes a transparent fix in the form of gold-based currency boards. As he explains, currency boards have already benefited the economic stability of numerous countries, and the introduction of a gold currency unit backed by bullion or foreign exchange would finally place Iran’s finances on solid ground. The unit would be fully convertible into gold at a fixed exchange rate, while the board that issues it could only increase financial liabilities if they are supported by the appropriate amount of gold. Along with a base in Switzerland and operations under its laws, the proposed board would be independent from any financial obligations by the Iranian government, thus potentially offering a much-needed solution to the Islamic nation’s currency troubles.